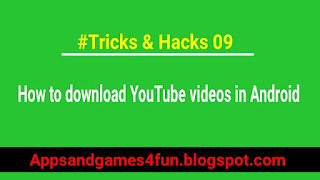 Many people usages YouTube and sometimes they want to watch a particular video many times. They can do this by adding the video for offline. When any video kept in offline they can be watch offline but only in youTube app. You cannot watch in your favorite video player because videos do not show there. Actually when you download any video from youtube app than they can only be played in youtube app. They cannot be transferred in your SD Card. So you cannot even share those videos to anyone. And after some time you will have to update that video because youtube app automatically update them after a certain time. In this way your video will be saved directly in your SD card and will also show in your gallery. You can play video in your favorite video player. You can also share that video to anyone. 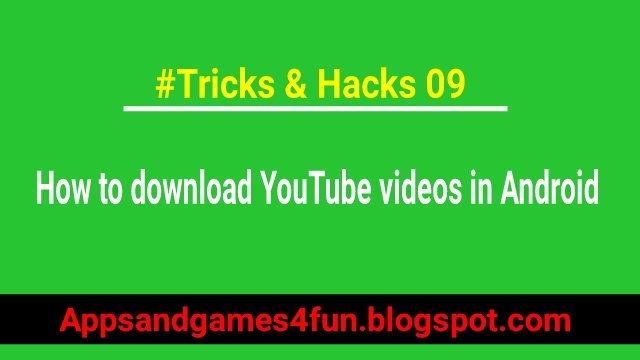 This is the easiest way to download any video frome youtube. 9. Now you can see the downloading speed which will be faster than other downloading methods. Note: - I recommend you, you should use wi fi or a fast data connection for a better speed. It will help you to download faster and smoother.